As part of our national expansion programme, Move Vehicle Leasing are offering car leasing and vehicle finance broker franchise opportunities throughout the UK to individuals and businesses wishing to find the fast track in establishing themselves in automotive finance, contract hire and car leasing. Our team of dedicated sales and administration support personnel are always on hand to guide, give advice and assist where necessary which means that no previous experience is necessary, although knowledge of the car leasing, contract hire and vehicle finance broker sectors could be advantageous. As with all sales oriented businesses Move Vehicle Leasing expect you to have the ability to communicate and liaise with people at all levels in a professional and timely manner. Move Vehicle Leasing do not have a magic wand, but what they do have in place are systems and processes that will allow you to provide a quality car leasing and vehicle finance broker service immediately. Move Vehicle Leasing will help you with all of the administration and back up services thus allowing you to shine and develop into the quality, professional car leasing and vehicle finance broker that you always thought you were. Therefore, if you are ambitious and have an excellent client service ethic, why not make life easier for yourself by speaking to us? Instead of starting a car leasing and vehicle finance brokerage by yourself, joining Move Vehicle Leasing will give you a proven business structure to work within so that you can create a long term business opportunity for yourself whilst working under the security umbrella of an established car leasing and vehicle finance broker. If you want to build something for yourself but don’t wish perhaps to take the leap on your own, then why not find success through the car leasing and vehicle finance broker franchise route. All franchisees will receive their own professional CALAS vehicle leasing broker franchisee website. The franchisee websites which are powered by CALAS are search engine friendly and SEO optimised, as well as being fully deal managed by our head office team with in excess of 20,000 vehicle finance and leasing special offers. Your website will display a landline telephone number, business address and email contact details with all client telephone and online enquiries from your website going direct to you the franchisee. On offer is an exciting ground floor opportunity to become part of an innovative and expanding car leasing broker. A realistic first year OTE of £40k+* is achievable with an OTE of £100k+* possible from year three onwards for full time franchisees. Part time franchisees can expect to earn somewhere in the region of £15k+* in their first year rising to £40k+* from year three onwards. *For guidance only – no guarantee of earnings can be given. 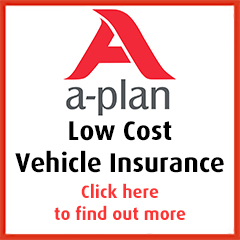 *Any franchise fees once paid to Move Vehicle Leasing are non-refundable. If you are thinking of investing into a franchise in the automotive industry whether it be a vehicle leasing franchise, van leasing franchise, vehicle leasing broker franchise, car franchise or indeed a car leasing franchise then why not consider joining Move Vehicle Leasing. In order to take the next steps in becoming a Move Vehicle Leasing car leasing broker and vehicle finance broker franchisee, please email or call Move Vehicle Leasing on 0330 022 9040 for a confidential discussion or to arrange an informal meeting.